Monte Barro Park, situated at the gates of Milan, is characterized by an easily accessible natural environment concentrating in a relatively limited surface with several interesting naturalistic, historical, archaeological, and landscape aspects. The Park area is mainly characterized by woods, grasslands, and cliffs housing an extraordinary floristic richness (over 1,000 plant species in less than 700 hectares! 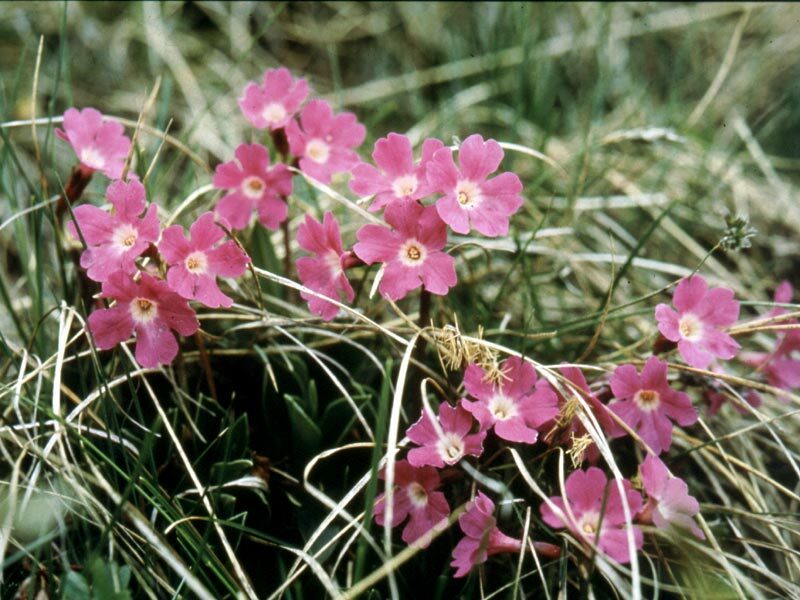 ): the inclusion in the Insubrian district, the events linked to the Pleistocene glaciations, the calcareous-dolomitic substratum, and other factors are at the base of the extraordinary biodiversity of this small mountain. Given its strategic position, Mt. Barro is an area of passage for several bird species which are monitored and studied in the Ornithological Station in Costa Perla (Italian text), a former bird snare transformed into a scientific observatory. 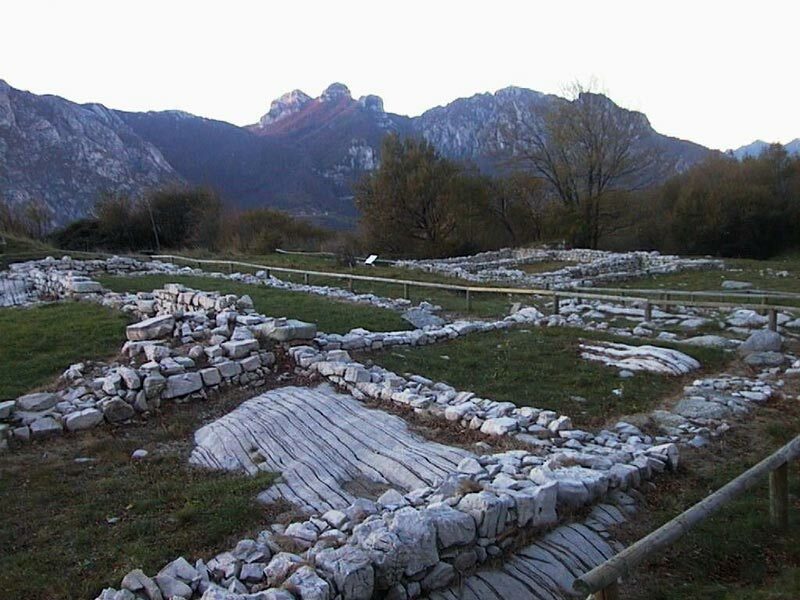 Together with the naturalistic features, the archaeological excavation campaigns have brought back to light a wide and articulated residential and military settlement dating back to the Gothic period (5th-6th century), a unique place in Italy. The main finds are on display in the Antiquarium at "Eremo" Park Center (Italian text). The Ethnographic Museum of Upper Brianza (Italian text), in the medieval district of Camporeso, represents another point of didactic interest. In order to safeguard Mt. Barro, in 1969 an intense debate began and developed above all in the local and regional newspapers, and a Committee promoting the safeguard of the mountain spontaneously formed. In January 1974, Consorzio per la Salvaguardia del Monte Barro was created and with the Regional Law l.r.78/1983 the mountain became a Natural Park of Regione Lombardia. The Park also includes three nature reserves. At the moment, the Consortium owns over 50 hectares on a total of about 700 ha; several works of environmental requalification are being carried out on the whole Park territory: soon, also the Antiquarium (Italian text), the Ethnographic Museum (Italian text), and the station for the reproduction of the flora will enrich the Park cultural frame. Mt. Barro is a calcareous-dolomitic mountain whose geology has drawn the attention of famous researchers, like Antonio Stoppani and Giuseppe Nageroni; in particular, Stoppani described the local rich Triassic fossil fauna in a well-known publication. The geomorphology of the mountain is linked both to the karstic environment and to the abundance of evidences regarding the Quaternary glaciations: glacial flows, moraines, and river-glacial deposits, erratic boulders; some of the latter present curious semi-spherical cavities. According to someone, these cavities have an artificial origin, that is given to the action of man who obtained from them some tools (for instance, mortars and presses) or structures linked to sacred rites; others suggest a natural origin, according to processes similar to the one forming the so-called potholes. Anyway, on Mt. Barro you can see some of the most impressive examples, such as the great "masso delle coppelle", a serpentine erratic boulder situated in the archaeological area, and "sasso della pila", situated at the top of the mountain. Mt. Barro has naturalistic and scientific interesting aspects also for the remarkable diversity of its habitats, going from the beech tree woods and from the lime tree-maple woods of the northern valleys, to the open scrubs and the sub-Mediterranean woods dominated by Durmast and Pubescent Oak of the southern slopes, to the primary xeric and prealpine-Insubrian grasslands, to the karstic springs, to the calcareous cliffs in the various exposures. From all this, the presence of several floral species: as a matter of fact, Monte Barro Park is the protected area in Lombardy with the greater floristic diversity, with more than 1,000 plant species in less than 700 ha!. This great biodiversity is concentrated above all on the cliffs, in the dry grasslands, and in the Insubrian grasslands: in these environments, considered as environments of priority interest by the European Union, there are up to 50 species in one square meter; moreover, in many cases, they are vegetable species at the limit of their survival possibilities, since you can find at modest altitudes species usually living at higher altitudes, or they are species situated at the edges of their range; of particular significance the cases of Primula glaucescens, or of the whole complex of the endemic vegetations ascribed to Caricion austroalpinae, several characteristic species of which grow on Barro, at the western edge of their range of distribution. The natural and semi-natural grasslands of Barro are also important from a faunistic point of view: ongoing surveys are leading to the identification of hundreds of invertebrate species (above all spiders and insects, among which wonderful butterflies), many of which are new for the fauna of Lombardy and, in some cases, of Italy. Mt. Barro is characterized by very important faunistic features. The presence of a karstic system, with abundant underground waters, leads to the presence of several interesting underground invertebrates, among which several molluscs, very small but very important, and crustaceans similar to shrimps, but completely blind. The streams are characterized above all by the Freshwater Crayfish (Austropotamobius pallipes fulcisianus). The several springs scattered in the woods offer several opportunities of reproduction for the Fire Salamander (Salamandra salamandra), while to make the life of other amphibians easier (frogs, toads, and newts), the Park has created ponds and small lakes. Several snakes live in the sunniest areas of the slopes and in the areas between the wood and the open environments; among them the Asp Viper (Vipera aspis) and the Aesculapian Snake (Elaphe longissima).